Hello everyone I hope you are all staying cool enough in this awful heat I feel like I am melting by the minute lol. Recently while cleaning up my work area aka Vanity, I realized that I was completely out of falsies. Now I know many of you are like you dont need them , but I feel like it helps with completing a look and gives my eyes a little more oomph. I have been trying to build my kit little by little as well and think that these lashes are a must in every makeup artists kit. 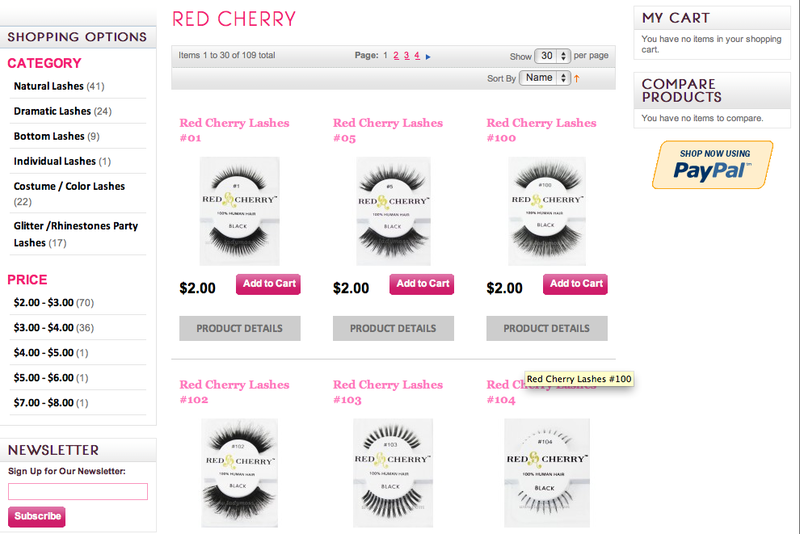 While on twitter I had mentioned that my favorite brand of lashes were the Red Cherry and Miss Adoro. A few people had asked where I purchased mine and I suggested a site I used frequently. I will say that they took a bit to ship but service was great. I noticed a company had followed me and decided to look into it. I can say that this is definitely going to be one of my new webstores to purchase my lashes from. 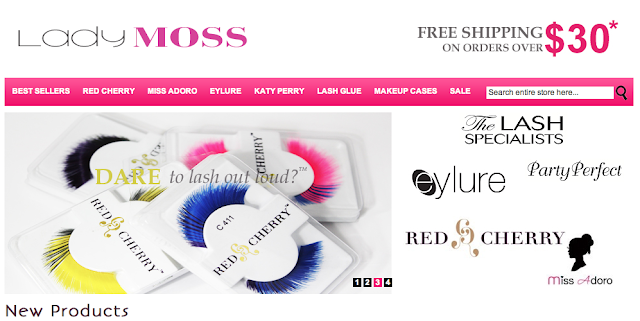 The name of the store is Lady Moss Beauty and they carry a variety of Lashes from Eyelure, Red Cherry, Katy Perry and so many more. What makes these lashes my favorite to use is the ease in application, and the band. To me it is all in the band. I like it to be thin and almost invisible to the naked eye. If the band is too thick it wont allow much flexibility or the ability to sit well on the natural curvature of the lash line. They are also a super steal! $2 bux I mean come on you cant go wrong! As you can see I definitely found the ones I love the most! The #107 are one of my top faves so I got 3 of those ! Can you sense a pattern? I like the Natural looking lashes they work best for me personally on myself. Overall I can tell you that the service so far was great. I ordered these I believe Thursday last week and got here tuesday, maybe would have even been here Monday but holiday weekend who knows. I cant wait to use these all in looks soon and will keep you all posted on my faves from this batch. I’ve been wanting to try some cherry lashes, they’re always so raved about. Thanks for letting me know about this site.